Look good on and off the course. 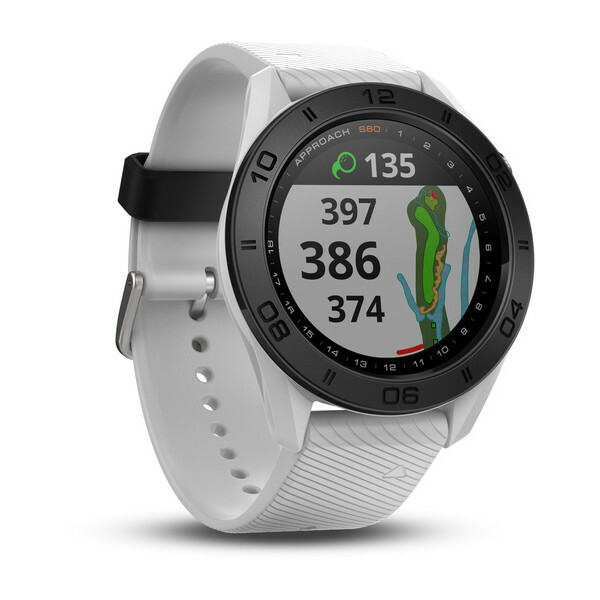 The Approach® S60 golf watch gives you the critical information you need for your round — displayed on a large, 1.2-inch sunlight readable color touchscreen — so you can master your game. And with convenient QuickFit™ bands, you can change your style without tools to match your activity, so you’re always in fashion. With more sensors to improve detection accuracy, AutoShot game tracking automatically detects¹ along the fairway and records distances for post-game analysis on Garmin Connect™. 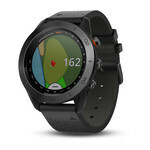 Approach S60 comes preloaded with maps for more than 41,000 golf courses around the world, and it offers automatic downloads1 of updates for those you play the most often when synced with Garmin Connect. Get precise distances to each location on the course, as well as PlaysLike Distance, which adjusts yardages to account for uphill and downhill shots so you can select the best club for the situation. 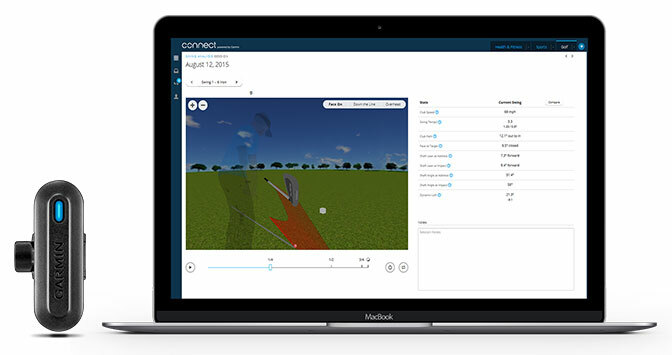 And with Touch Targeting, you can touch any point on the map for precise measurement to that exact spot — including fairway, sand traps, water hazards and more. 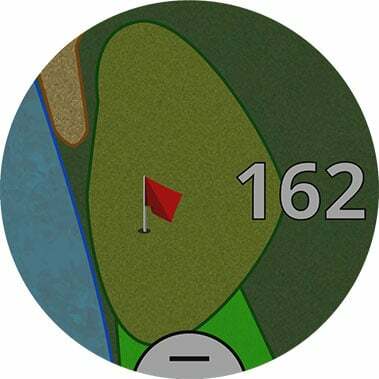 Green View gives you each green’s true shape from wherever you are on the course, and it allows you to manually drag-and-drop the pin into the correct location for the day for greater accuracy. 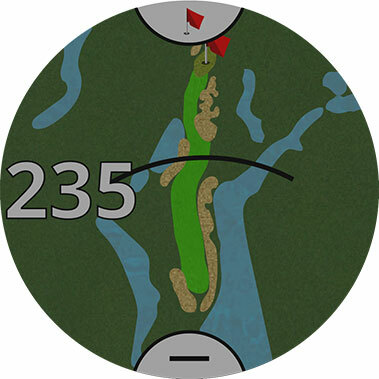 PinPointer even tells you the direction to the pin when you have a blind shot. 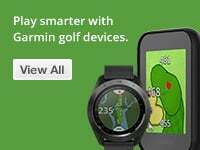 Pair your Approach S60 with the Garmin TruSwing™ golf swing analyzer to get swing training, including swing speed and club path angles. 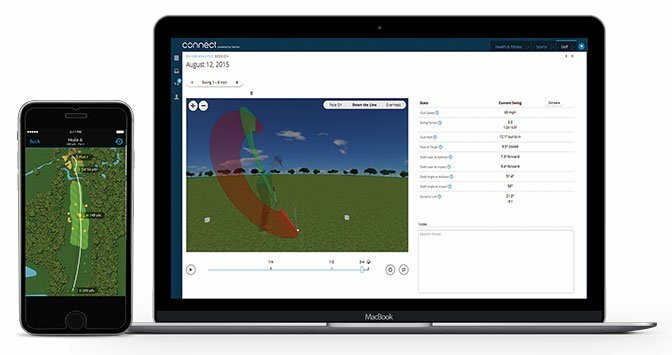 By understanding what your swing is doing and how it impacts ball flight, you can improve the consistency of each swing. Sync the Approach S60 to your compatible smartphone³ to get smart notifications for incoming calls, texts, emails and other alerts. 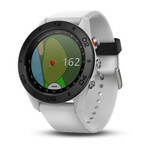 Connect in more ways, too, including the Garmin Golf™ app, which allows you to compete on leaderboards on any one of our 41,000 courses with friends. 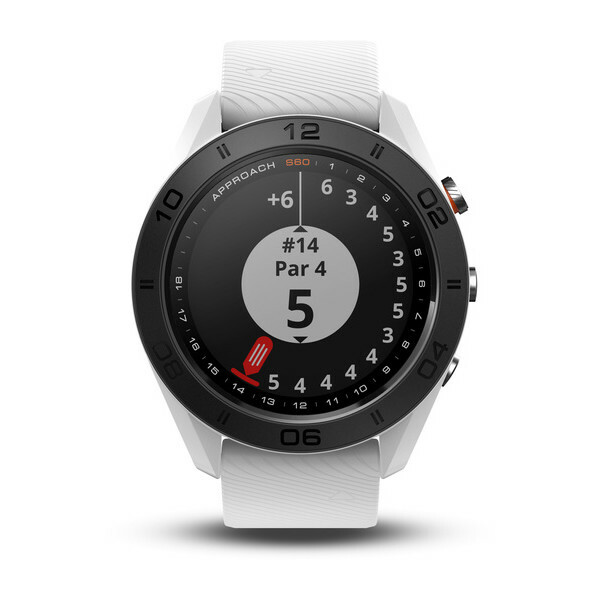 Download custom watch faces, apps and widgets from the Connect IQ™ store. And customize your watch face with any photo from your mobile device with the Face It™ app. With up to 10 hours of battery life while golfing — or up to 10 days in watch mode — your Approach S60 is sure to keep up with you. 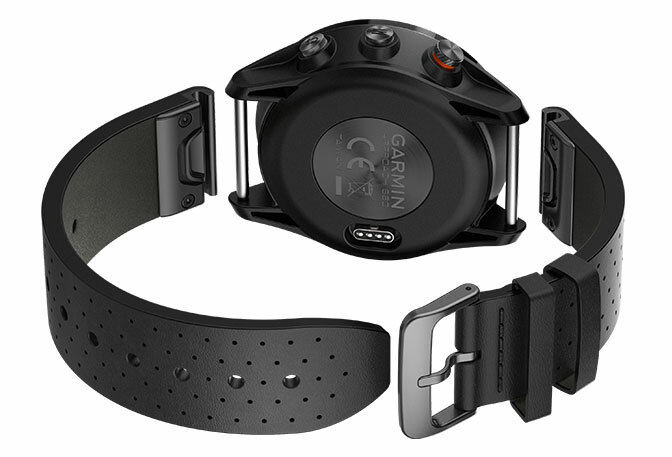 In fact, use for more than just golfing with preloaded activity profiles for running, cycling, swimming and more. And with activity-tracking features, including the move bar, vibration alerts, calories and steps, the Approach S60 will help you stay fit, day in and day out. ¹Lie and ball contact may affect shot tracking. Putts are not tracked. Some shots, particularly chip shots around the green, may not be tracked.